The spectacularly stylish action RPG series returns today, just in time for a weekend of ridiculously flashy demon hunting. Devil May Cry 5 is now live on PS4! In celebration of the legendary demon-slaying series’ fifth installment, we reached out to producer Matt Walker of Capcom to get answers to a few devilish questions before we settle in for a weekend of rocket-riding, motorcycle-wielding, air-juggling action. PlayStation.Blog: Devil May Cry helped popularize the idea of an over-the-top action-combat-RPG way back in 2001. What’s it been like to see this genre mature (well, maybe that’s not the right word…) over the past couple decades, and how did the team look to push it further with DMC5? Matt Walker, Capcom: It’s been amazing to see action change and evolve since the first Devil May Cry. There have been action games that have pushed the genre with open world elements, there are those that have implemented gear-based approaches like Monster Hunter, and there are even action games that have lifted storytelling in video games to rival what you see in longer established mediums like movies. 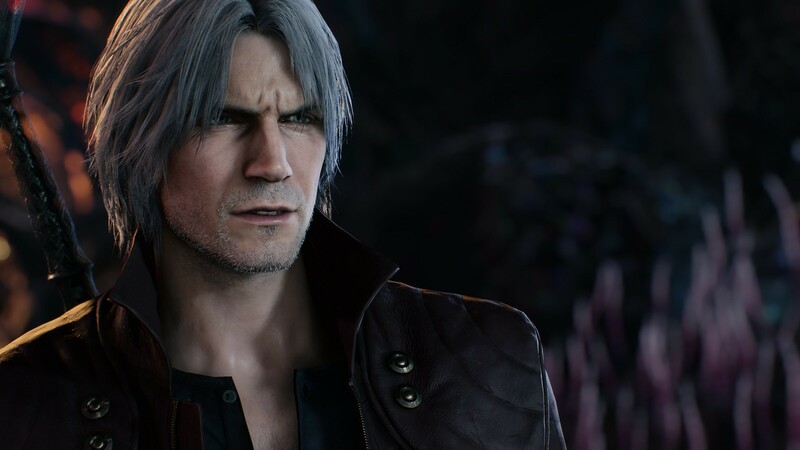 Itsuno-san’s main concept for DMC5 has always been to bring the focus back to “pure action” – he wanted to show the world that the essence of what makes action games fun hasn’t changed in the last 30 years – that game loop of coming up against a good challenge, and then feeling an immense sense of accomplishment by overcoming that challenge. With DMC5 we pushed this further by adding a 3rd playable character with a completely different approach in V, and further differentiating Nero’s gameplay with the Devil Breakers. PSB: What do you think are the biggest, most important changes to have happened to DMC’s combat system across its various installments? What are some of the most important things that haven’t changed? MW: The first Devil May Cry really established the template for stage-based 3D action games – I personally think it was the first one to translate the fun of side-scrolling 2D action games well to 3D. It literally defined Devil May Cry by introducing air combos and launchers, as well as the concepts of the Devil Trigger and the Style Rank. In DMC2 we added a new playable character for the first time, as well as the ability to change weapons on the fly. In DMC3 Itsuno-san fully took the reins and put his own spin on the story, the character design, and added fighting game like styles to give Dante even more options for playing. In DMC4, we introduced Nero and the Devil Bringer, which gave him a completely new approach for combating enemies by pulling them in, as well as awesome throw/grapple moves he could perform on different enemies. We also introduced style switching in real time, which really solidified Dante’s gameplay as seamless. 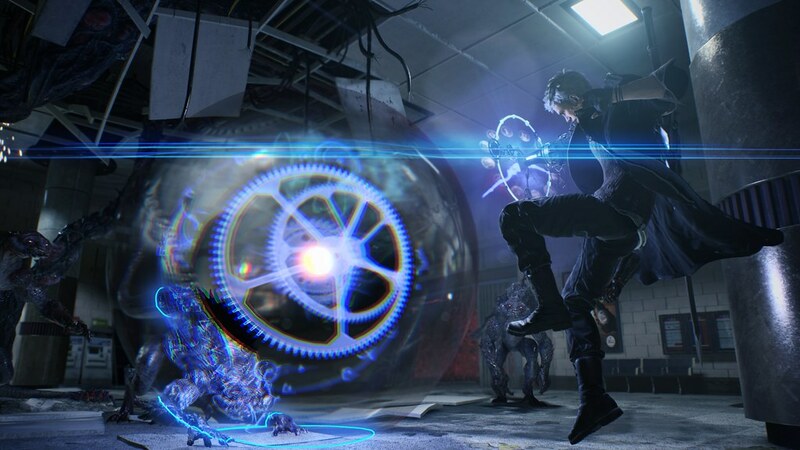 As mentioned previously, DMC5 brings in Nero’s Devil Breakers and new character V, which will provide a brand new approach to gameplay for the series. PSB: How drastically did the introduction of Devil Arms and Devil Triggers affect the overarching systems at play here? Did the dev team have to go back to the drawing board to see how that all fit in? MW: One very interesting thing about the way Itsuno-san makes games is that he never deviates from the original concept he had when starting out development. Another way to put that is that he’s vetted his initial design so thoroughly before beginning development, that he never has to make any major changes to realize the final product. That being the case, although we had instances where we tuned various parameters along the way, we never had any instances where we had to completely rethink or overhaul a mechanic to make it work. PSB: In a game where you wield a motorcycle as a weapon and break dance fight – what is one idea the team thought was way too crazy to get into the final game? MW: One of the ideas we had for Dante was a figure skating weapon. At the time, figure skating was pretty big in Japan, and we thought it might be outrageous to see Dante figure skating. At the time we couldn’t think of a way to make it work quite right, so we shelved it. PSB: What can you tell us about Nico? MW: She’s a badass. She’s the granddaughter of Nell Goldstein, the Gunsmith who created Ebony & Ivory. She’s the one who devised and created Nero’s Devil Breakers, and she’s Nero’s partner, who drives around the DMC Motorhome with him. PSB: Everyone knows about Dante’s mainstay weapons (Rebellion, Ebony & Ivory), but we’ve got some new toys to play with in DMC5. What’s the deal with this hat weapon? What about literally using a motorcycle as a melee weapon? MW: The hat is called “Dr. Faust,” and it’s a throwback to an enemy from Devil May Cry 4. We thought it would be interesting to implement a risk/reward mechanic involving Red Orbs where you would use them, but could get back even more in return if you’re good. The motorcycle is called “Cavaliere” – we’ve wanted to give Dante a motorcycle he could fight with since Devil May Cry 2. 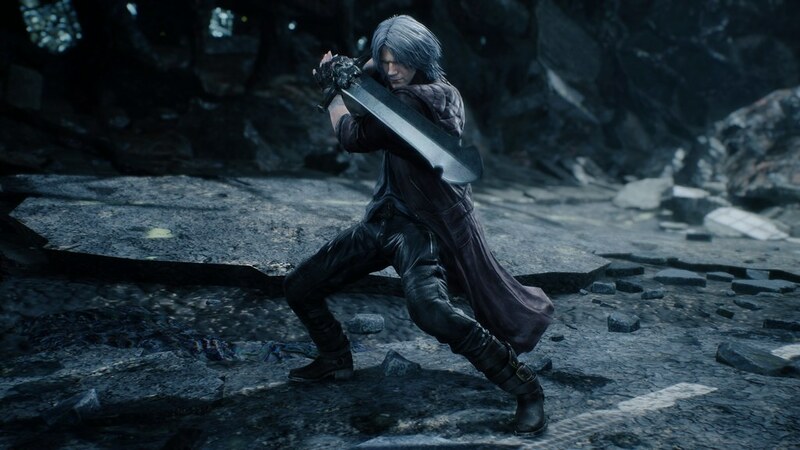 When revisiting the concept for Devil May Cry 5, one of the series animators provided a piece of concept art where Dante had the two pieces of the motorcycle in both his hands as he was dual-wielding chainsaws – it was right then and there we said we HAD to do it. PSB: The developers have described DMC5 as having a certain “adolescent sense of cool” about it. What, in your mind, is the best example of a sense of style that only DMC can bring? 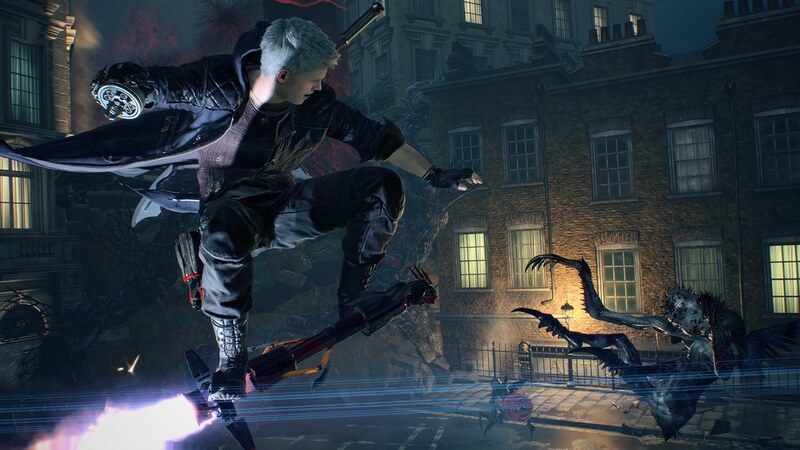 MW:I think Devil May Cry is the only series that can combine PBR (Physically-Based Rendering) graphics with swords, guns, lasers, explosions, one-liners – and do it in a way that comes off as both sincere and AAA. Now that we can comment, why is this game censored on ps4 only?